Mark your calendars for PVE’s 2nd International Night! This event will be held on, Tuesday, February 12th from 6:00-8:00 PM. Mark your calendars for PVE’s 2nd International Night! This event will be held on, Tuesday, February 13th from 6:00-8:00 PM. 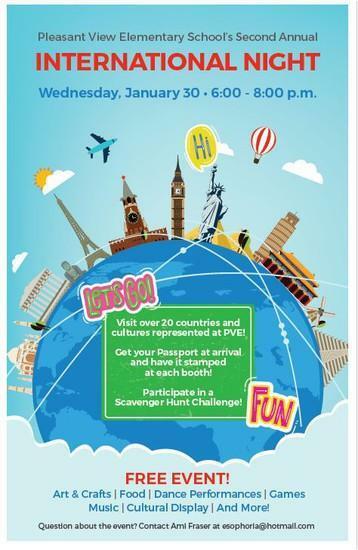 During this event, families will “travel” the world going from booth to booth learning about 20 different countries and cultures of our students at PVE. This year we have added food, dance performances, and a Virtual Reality Experience! Please fill out this short RSVP form (takes less than 30 seconds)so that we might have an estimated number of those who are planning on attending. The RSVP form is not required to attend. If you are unable to attend the event and filled out the RSVP, don't worry. We all understand that things come up! 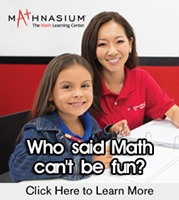 We hope you can join us in making this evening a fun-filled learning experience for your whole family! If you have any questions, please feel free to email our event coordinator, Ami Fraser at esophoria@hotmail.com.